KUCHING: The Smart Traffic system that is presently used in some parts of the city has to a great extent helped address traffic congestion. Assistant Minister of Transportation Datuk Dr Jerip Susil said the waiting time had reduced between 25 and 60 per cent after the system had been put in place. “The Smart Traffic system is certainly helping us in many ways. Based on an analysis we have done, the waiting time which was 616 seconds has reduced by 51 per cent to 301 seconds. 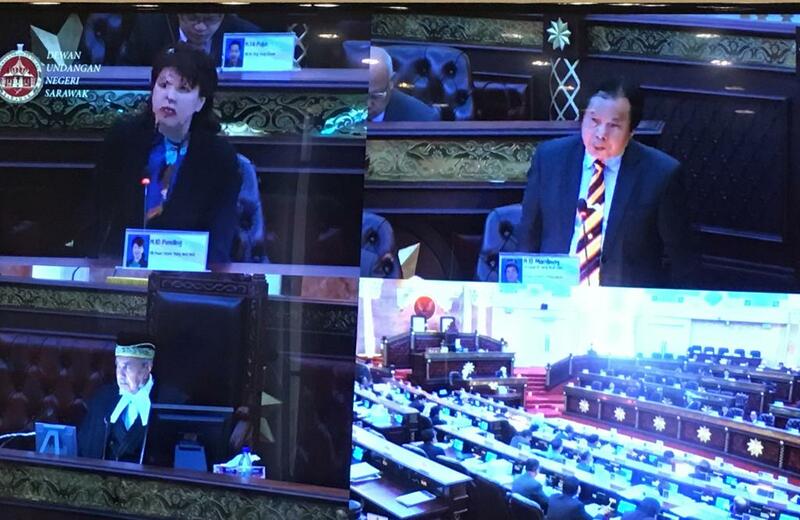 “We hope that more such system can be put in place in future to help reduce traffic jam,” he said when replying to a supplementary question posed by Violet Yong (DAP-Pending) in the august House today. Yong informed the House that not only did the Smart Traffic system fail to alleviate traffic congestion in the city but it seemed to have worsened the situation. Earlier Dr Jerip said no advanced cities across the globe can be free of traffic congestion, let alone the fact that the population of Kuching had increased over the last five years. According to him, the population of the city was 750,000 five years ago and the figure has risen to one milion today. “With the increased population, we can expect traffic congestion in the city. People are going to buy cars, so we can expect more traffic congestion in future,” he said. He added that traffic congestion is happening to not just Kuching but advanced cities across the world such as Tokyo, New York and Singapore.